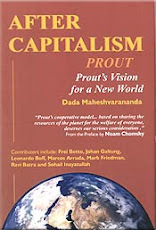 Prout - Alternative economic model for Capitalism and Communism: Watch the skies! David Wilcock's Disclosure this week provides proof ab the "proxy war" between "good guys" and "bad guys" going on in the space over our heads since mid-Dec. There are ab 100 incredible huge spheres of ETs, Blue Avians. They are shooting down escaping cabal's/reptilian's cloaked crafts. Thus many unusual "meteor" sightings has been reported recently with flashes of lights, sonic booms and ground shakings - 'and then the cleanup crews rush in'. Daily Mail, bizarre fireball in California. Speculation; "UFO crashing, ejecting a miniature spacecraft." Florida meteor on security camera; awe-striking. Over 230 people sighting; "window rattling" boom. New Zealand "meteor" slows down, blows up and creates sonic booms; WeatherWatch; reports of the flash which shake the ground with "small increase in higher frequency energy". Reported UFO crash in Canada is epic shoot-down cover up. Bright flash in the sky and military clean-up crew come in. http://www.cbc.ca/m/touch/canada/manitoba/story/1.2963994. Nasa films fireball/meteor flying over New York, Pennsylvania and Ohio. India fireballs, rocks found? http://hipknowsys.blogspot.com/2015/02/david-wilcock-update-february-26-2015.html. And https://www.youtube.com/watch?feature=player_embedded&v=GHJvF6_CHLc. And http://www.thehindu.com/news/cities/Kochi/fireball-in-sky-triggers-panic-in-city/article6943867.ece. “Our officials could not trace any visible evidence of a drop of fireball to the earth,” Fire Divisional Officer R. Prasad told The Hindu. Romania; http://www.accuweather.com...001. People reporting lots of fireballs/meteorites; http://thelatestworldwidemeteorreports.blogspot.com/. Our solar system has been actively colonized by ET s with super-advanced technology -- for last five million years. The US secret space program has conducted missions including a visit to the rings of Saturn ruins; gigantic rooms made out of glass-like material designed for 70-100 ft tall people, descendants of a prison colony. In Canada military has found ab 24 feet tall beings sleeping in stasis bubbles, but now they are waking up. Government is in total panic, because it is not easy to control that big beings. Disclosure process; http://www.coasttocoastam.com/show/2015/02/25. Blue Avian ETs are - 8 ft tall, bird-like heads, and bright blue feathers. They had a meeting on earth. One of David's insiders was invited in it. There was first fears that he would be killed, but at the end he was deeply moved and told; Blue Avians exposed that Cabal is planning to defect Allianse with violence. Alliance is working with Earth Space Program, Solar Warden, which is working with Blue Avians. Avians want us to change into a loving world peacefully. Wilcock tells also, that all efforts to detonate nuclear bombs since WWII has failed, so no also WWIII coming. Most of the nuclear heads are even destroyed by aliens by now. ET s are engaged in war in Ukraine. 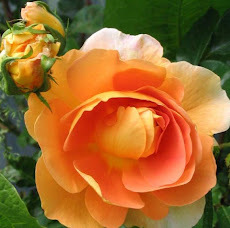 Fukushima is not effecting so much the earth as sophisticated methods are used to reduce the radiation. Unpublished enormous Snowden files about secret space projects will soon help to make disclosure. NSA had hacked everyone - military, defense contractors and space program groups, but they did one big mistake -- kept everything in one place...soon when dropped on the net it will be the end the Cabal. DISCLOSURE one-time offer: http://www.gaiamtv.com/david99. Contact in the Desert at coasttocoastam.com. David leaked vast insider information at the Conscious Life Expo. Source http://divinecosmos.com/start-here/davids-blog/1174-disclosure-history. Edward Spencer M.D; I was in Dr. Greer's summon ETs training in 2010. I've taken people out at night a handful of times UFO's/Et's have been showing up, the people who witnessed the events were amazed, James Milligan.